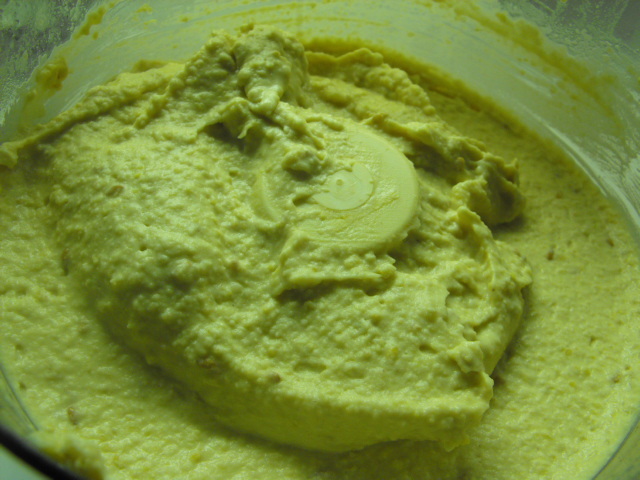 I almost always use peanut oil and peanut butter in place of tahini when I make hummus. This is because I buy natural peanut butter in its own oil and I love the flavor it gives the hummus. I think it’s less bland than others I’ve had. 3 c. cooked chickpeas. You could use canned, but rinse and drain them. 1/2 to 1 c. vegetable stock to thin as desired. I like it thin. Place all ingredients in food processor bowl and puree until smooth, adding stock as needed. Use as a vegetable dip, or a dip for toasted pita triangles. It is also delicious spread on bread in place of mayonnaise in sandwiches. « I’ve Gone Bonkers for Garbanzos!